Looking for something new and exciting at Disney's Animal Kingdom? 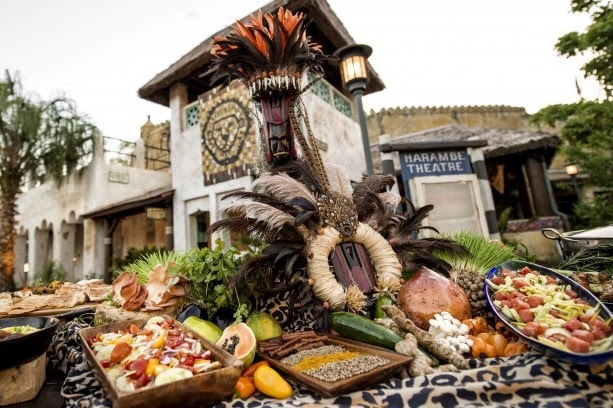 You can show your wild side during Harambe Nights, a special summer event, coming to Disney’s Animal Kingdom® Theme Park at Walt Disney World® Resort. Every Saturday evening June 7-Aug. 9, 2014, you can voyage into Harambe Village for this roaring summer celebration. The evening begins with “The Lion King – Concert in the Wild,” an all-new show celebrating the 20th anniversary of Disney’s “The Lion King.” Complete with a live orchestra, choir, dancers, animation, special effects and celebrity guest narrator this theatrical experience is sure to be the highlight of the event. Following the performance, hit the streets for an exotic party where you can enjoy festive music, Disney Characters, stilt walkers, specialty performers and an African-inspired menu. You'll also find exclusive event merchandise. And, as the evening concludes, you will receive a fond farewell you'll never forget!! While premium seating for Harambe Nights is sold out, general seating is still available. Capacity is limited. Tickets are $119 for adults, $79 for children ages 3-9, plus tax.